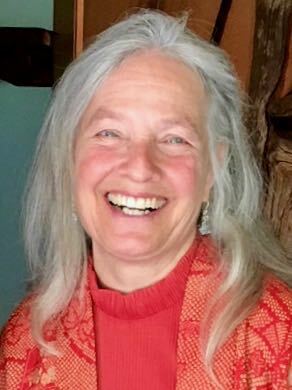 Interpretive Art Through the immediacy of Touch Drawing, Deborah visually portrays the content & feeling of lectures & performances. An Inner Portrait is a series of Touch Drawings that bring into form subtle dimensions of your soul. 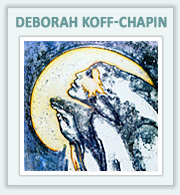 Deborah offers Sacred Sound Baths with her crystal bowls & resonant vocals. On my last day in art school in 1974, I had a creative awakening. In a moment of playful exploration, I moved my fingertips on a paper towel instead of wiping the inked plate. Lifting the towel, I saw childlike scrawls on the underside, created by the pressure of my touch. I laughed ecstatically with this discovery! This was a precious gift; a direct mode of expression that fulfilled my longing for a more natural way to draw. I sensed it was emerging for more than my own personal use. With this realization came responsibility. Somehow, I would share this process with the world. 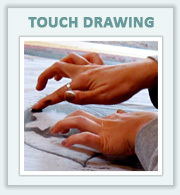 This site provides a rich array of resources growing out of the core experience of Touch Drawing. Check What’s New to see current activities. 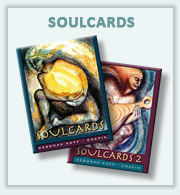 Sign the Mailing List to receive inspirational images, stories of how Touch Drawing and SoulCards are being used, and know if I a hold a workshop in your region. I welcome the gifts you bring to this creative process. Feel free to contact me.